The 14 Day Everest Base Camp Trek is one of the best optional classical treks to the base of incredible and highest peak of the world, Mount Everest. Apart from Mount Everest, you will also come to see Mt. Lhotse (8516m. ), Mt. Makalu (8462m. ), Mt. Nuptse (7861m. ), Mt Cho Oyu (8201m.) and more; and have an insight of local Sherpa cultures and traditions. Besides taking you close to the world's highest mountain, it also gives you a great insight into the local Sherpa culture and the high Himalayas. Walking along the footsteps left behind by Hillary and Tenzing will also lay your best experience of seeing attractive Kala Patthar which is also known as black rock. 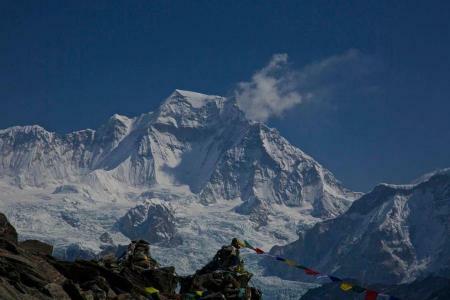 Spring and autumn are the best seasons to go for Everest Base Camp classic trek. Everest base camp trek starts at Lukla (2800m.) and the route moves ahead through the beautiful wooded hills of Khumbu region. Local monasteries and chaste peak views will arrest you with its beauty. We come across the villages moving towards the rampant river of the Dudh Koshi. We walk beside the Dudh Koshi River to the north all the way through terraced hills and small settlements of the renowned Sherpa people which lies at the foothills of the greatest peak in the world, the Mt. Everest (8848m). Following the Dudh Koshi River, it reaches to its foundation the Gokyo Lake which is situated to the west of the Everest Base Camp. The point also offers a magnificent view of Mt. Makalu and Cho Oyu. 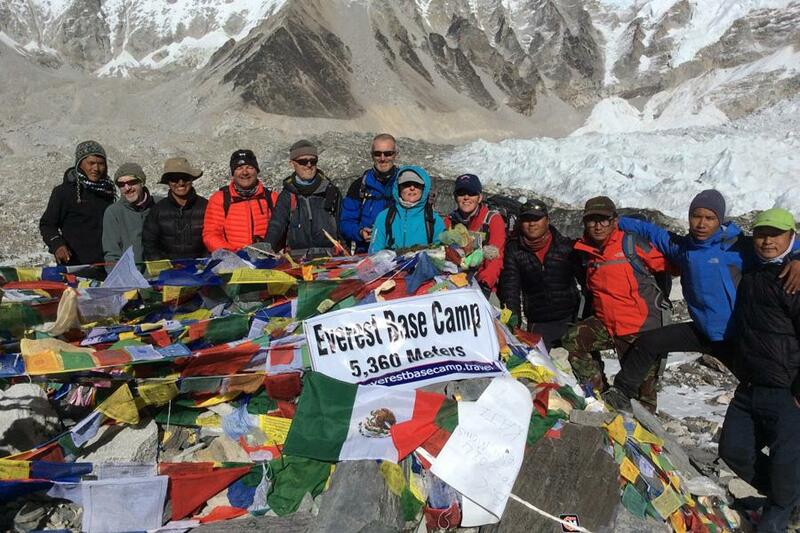 Unique Adventure International will take you to Everest Classic Base Camp trek which is one among the most famous destinations for the Mountaineers and adventure lovers. Make a collection of marvelous experience of observing vistas of Mt. Everest, Amadablam, Lhotse, Thamserku, Khumbutse, Pumori; going around Khumjung village, seeing the culture of Sherpa people and monasteries in Tengboche and many more on your memories with us. Day 01: Meeting upon arrival at Kathmandu International airport by our representative, transfer to hotel. Transfer to airport to connect 30-minutes flight to Lukla. The trek begins gently up by the riverside, along with excellently paved footpaths, passing a multitude of teahouses and scattered green conifers. Phakding at 2,610meters is a pretty village comprising approximately 30 houses. It is roughly a 3-hour walk from Lukla and is located at both sides of Dudh Koshi River. Day 03: Trek to Namche Bazaar (gateway to Mt. Everest - 3440meters), overnight at guesthouse. The day will begin with the gentle walk to Monjo, another beautiful Sherpa settlement of the trek; official entry into the Sagarmatha National Park where you will have to show your permits (SNP entry permit and TIMS card)at the office in Monjo. The walk to Namche Bazaar involves a tough uphill climb of about 590m, taking approximately 5-hours, however, halfway up the hill, you will be able to see Everest and Lhotse for the first time. As you approach the town of Namche Bazaar, the peaks of Thamserku (6, 648) and Kwangde (6,224m) are visible to the East and to the West, the sacred mountain Khumbila (5,707m). As the gateway to the Khumbu region, Namche Bazaar, at an altitude of 3440meters, is famous for its many bakeries and local market (haat bazaar) which takes place each Saturday. Built on a steep mountain bowl with excellent views of high Himalaya on either side, the town has restaurants, shops, banks, and currency exchange. Remarkably, for such a remote location, there is also the availability of cyber cafes and pool halls. Day 04: Rest at Namche Bazaar for acclimatization, overnight at guesthouse. It is important to walk to higher altitudes while you stay two Day in Namche Bazaar. There are options here to trek to Khumjung where you can visit the local school and hospital or to Thame village of Sherpa Everest expediters and of the great Everest Sherpa Tenzing Norgay or to airstrip at Shyanboche (3720m), above the airstrip is the Everest view hotel, which was set up by the Japanese to bring affluent tourists into the region for a prime view of Everest. The scheme was brought down by the fact the hotel was at nearly 4000m and many suffer from altitude sickness. Day 05: Trek to Tyangboche, overnight at guesthouse. The day begins with a slight climb up about 10-minutes and descends back to the Dudh Koshi at 3550m before ascending to Tyangboche at 3870meters. The views of Everest, Thamserku, Amadablam and the valley are mind-blowing. At an altitude of 3870meters; Tyangboche is a charming spot built around the main Tibetan monastery in the region where you can enter and listen to the monks chanting their mantras. The view of Lhotse, Everest, and Amadablam are unforgettable. Day 06: Trek to Dingboche (4360meters), overnight at guesthouse. Your journey will pass through wooded forests and along the Imja Khola valley. The views will become more impressive as the high Himalaya begin to surround you. You will contour gradually to Pangboche, an interesting gompa site above the main village, this is the oldest monastery in the region and apparently dates from the introduction of Buddhism to Khumbu. You will then climb up to Dingboche at 4360meters. The views of Amadablam and Island Peak are breathtaking. Day 07: Rest at Dingboche (day hike to Chhukung), overnight guesthouse. Today, we will have another day of acclimatization. 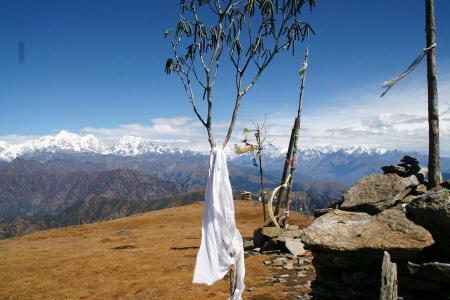 You will head to another beautiful part of the Khumbu region, Chhukung offers you a magnificent view of the Mt. Makalu, Island Peak, Peak 38 etc. Day 08: Trek to Lobuche (4950meters), overnight at guesthouse. The valley now becomes barren of vegetation as you walk up towards Lobuche, but your attention will be firmly on the snow-capped peaks, which soar above you. The path joins the trail below Thugla and gives beautiful views of Cholatse (6442.) across the valley. The path can become quite rocky in places and it is important to watch your step. After another steep ascent, Tawache and Nuptse are particularly spectacular form Lobuche, towering almost 2 kilometers directly overhead. 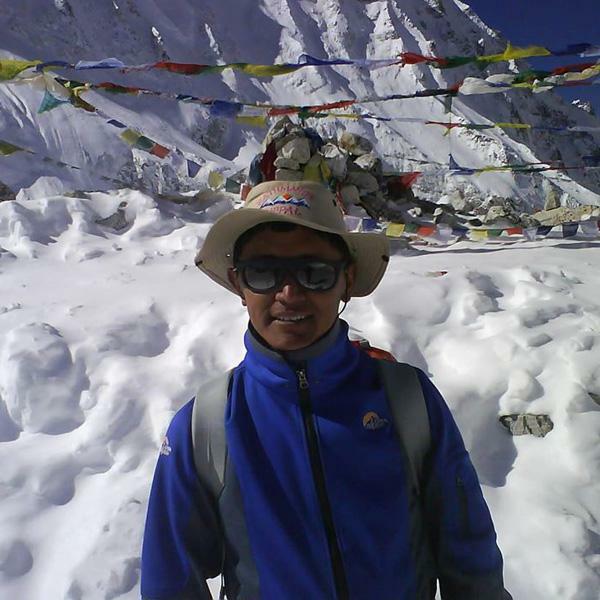 Today, the walk towards Everest is along the Khumbu Glacier. You will reach the small village of Gorakhshep, where you will be able to have lunch. After having your lunch the trail will lead you to the Mt. Everest base camp at an altitude of 5400meters. Everest base camp gives you an unforgettable view of Khubutse, Mt. 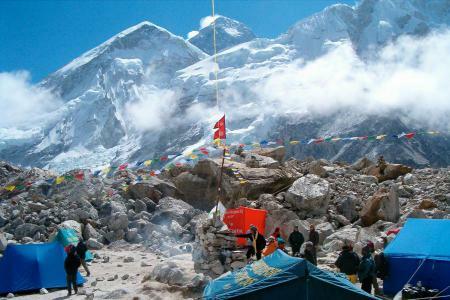 Pumori, Changtse and Khumbu ice fall instead of Mt. Everest. Day 10: Trek to Kalapatthar (5545meters) and back to Pangboche, overnight at guesthouse. 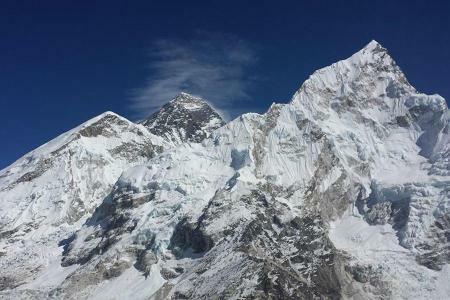 The ascent of Kalapatthar or 'Black Rock' will offer the best views of Everest. At the top you will see a 360-degree view of some of the highest peaks in the world including Mt. Pumori (7169m), Mt. 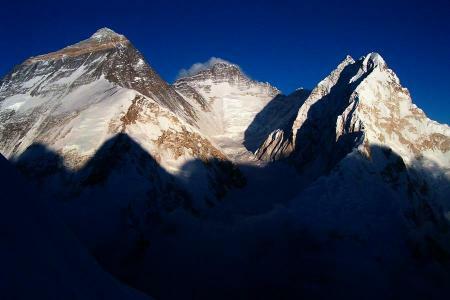 Everest (8848m) and Lhotse (8516m), the Tibetan peak Changtse, Nuptse (7861m) and countless other smaller peaks. 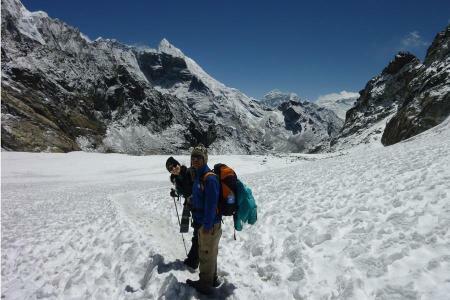 You will then descend and return to Pangboche and retrace your steps to Lukla. Day 11: Trek to Namche Bazaar, overnight at guesthouse. You will now follow your footsteps back to Lukla, the walk to Tyangboche will offer spectacular views of Amadablam. Day 12: Trek to Lukla, overnight at guesthouse. Day 13: Fly back to Kathmandu, transfer to hotel. Airport pickup and drop off, upon arrival and departure in Kathmandu (International and domestic both). Food during the trek (full board with breakfast, lunch, and dinner). Internal flight Kathmandu - Lukla - Kathmandu for guest and guide inclusive with all taxes and transfers. In the worst case, assist with all rescue and evacuation arrangements. First aid medical kit, Oximeter to check pulse, heart rate, and oxygen saturation at higher altitude.  Bar and beverage bills, tea / coffee, drinking water, hot showers, battery charger and wifi / inernet. My friend traveled with Unique Adventure several years ago. So, it was an easy choice for us, when we decided to reach Advanced Base Camp (ABC), 6500 m, on the North side of Everest. We just contacted Khum. Unique Adventure is a Nepalese company. To arrange trekking in Tibet, the company collaborated with the Tibet Kyunglung Travel Service, making sure that all necessary logistics is in place. With their well coordinated efforts, we became legal in Tibet and smoothly crossed the Chinese border in both directions. We had a Tibetan guide, Paldin, responsible for booking and transportation in Tibet. We also had a Nepal Sherpa guide, Tenging, who arranged a permit to the ABC 6500m on the North Face of Everest and with his small crew and yaks helped our successful trekking (see everest6500.com), while providing us with food and comfort to the degree possible above 5,000m. Thank you, Khum, Paldin, Tanging!